Thoughts from the 4th Grade Mustangs: Good Luck Kyle! Our new friend Kyle left DPM. We wish him nothing but the best, and we enjoyed our time with him in our class. Fourth graders-if you have a message for Kyle, please post it here. We wish Kyle good luck-We know he will be successful at his new school! We will miss him in our classroom. Hi Kyle! Do you like your new school? I'm glad you like your knew school! Sorry my computer copied my sentence! I am glad you like your school. I am Jackson from Mr. Lamarr's 2017 class. Hi Kyle! I hope you like your new home! Hi Kyle. hope you like your new school!!!!!!!!!!!!!!!!!!!!!!!!!!!!!!!!!!!!!!!! KYLE I HOPE YOU MAKE FRIENDS AND HAVE FUN AT YOUR SCHOOL + WELL MAKING THOSE FRIENDS HAVE FUN!!!!!!!!!!!!!!!!!!!!!!!!!!!!!!!!!!!!!!!!!!!!!!!!!!!!!!!!!!!!!!!!!!!!!!!!!!!!!!!!!!!!!!!!!!!!!!!!!!!!!!!!!!!!!!!!!!!!!!!!!!!!!!!!!!!!!!!!!!!!!!!!!!!!!!!!!!!!!!!!!!!!!!!!!!!!!!!!!!!!!!!!!!!!!!!!!!!!!!!!!!!!!!!!!!!!!!!!!!!!!!!!!!!!!!!! Kyle, you were an amazing student in our class. We all miss you and hope you have a good class at whatever school you are going to. Good luck, from John F.
Kyle, I hope you have a great new house and the people at your new school value you as a classmate as much as we do. You are so nice, very intelligent and you are so funny. 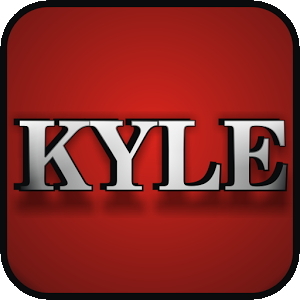 Use those skills at your new school and, keep on being Kyle! Hi Kyle, did you make new friends? I'll try to go to one of your football games. We miss you, Kyle. Hope you are well. Do your best! Have a great time at your new school! Please contact our class. Can you type up what is happening at your new school. Amazing wishes, From Zoey. I MISS YOU KYLE!!!!!!!!!!!!!!!!!!!!!!!!!!! You were a good friend + I all most ate Zeta and Tavia! Kyle you were a great friend, and I hope you enjoy your new school. Our hole math quest group is still sad that you left. I hope you make a bunch of new friends! I miss you already. I agree Lauryn I hope your new school is really great for you and also hope you like it! Thanks guys for all the great comments. I miss you all. The house here guys is great.The new school is great and I get to ride a school bus to and from school. The work here is easier so I miss doing all the hard work.I also miss Mr. La marr's teaching. And I miss your learning! Yes I like my new school but the fifth graders are not nice to us like the fifth graders here. Hey Kyle! You found the blog! I was going to send it to you this weekend, but I see you have found it yourself. It sounds like you are enjoying your new house and school. That is great. We do miss you in room 15, and Friday Football will be different without you there. I am glad that things are going well. You show your new class how great you are. Keep dropping by here and keep us up to date on what is happening with you! Thanks. Who is winning in math quest? Kyle, do you like your new school? Do you have any friends? Kyle, do you like your new school? How is your teacher? Have you gotten high grades on your homework? Hey Kyle it's Declan. I hope you like your new school, teacher and classmate. I miss you so muck!!! Muck! haha, its much and Kyle, How is it there? Did you make new friends? Who's your teacher? And our Math Quest team misses you, but we're doing good! Hey Kyle whats up? We all miss you! For Math Quest somebody picked a fate card that said if you have a football with you, you get 30 dots. And if you have the football and a football helmet on, you get 60 dots! Also, my team is in first place and were Newtonians!!!! I hope you are having an amazing time at your new school! What was your team, Kyle? What gate is my team in? I think it is the 4'th gate. My team was the super subtractors. Kyle, have fun. How is your new school. Do you have friends? If so what are their name? What is the name of your school? The name of my school is called RidgeView. I have never heard of that school, and, what time does your school start? Is it Ridge View, or is it just RidgeView? How many friends do you have. Kyle, I really miss you! I wish that you had not moved! I wish you could stay a little bit longer so you could meet Marci because she came. I mean't to say what place is our math quest team in? Our team was the super subtractors. We will all miss you, Kyle! Hopefully you can come to football on Friday! I can't come. I get off school at 3:30. Hi Kyle! Yesterday I drew the baseball cap fate card. It was my first time drawing a fate card:) We also did a Math Quest relay and completed nine problems. We are now in Sportsland. We hope we can see you again. We miss you so much! Best wishes, Emelia. P.S. What are you going to be for Halloween? Hope you have an amazing Halloween! Did you get a lot of candy on halloween? How was your halloween and what were you for halloween? We all hope you had a great time on halloween! No my mom threw away all my candy I got. I was a clone trooper. I miss you SOOOOOOOOOOOOOOOOOOOO much, Kyle. wow, a bet that was painful having a student leaving school so early in the year. Oh I didn't tell you I broke my collar bone. Oh no-How did you do that, Kyle? I hope it doesn't hurt too much. I have about 10 friends. I was playing football and when I got takled my arm was squished. thats almost how Mr. La Marr broke his arm! Ouchie-at least you were doing something fun and didn't hurt it like, falling down or something. I hope your recovery is fast and that you are back to playing football real soon. Sorry you got hurt. i know how it feels because I broke my collar bone too. I was playing football too. I have not broken a singlebone, too. Breaking your bone is not fun. I hope you are not implying that you broke your bone, William. Why do you want to break your bone.It doesn't fell good. yeah lauryn ? why do you want to break your bone? Broken bones definitely do not feel good and are not fun. They mess up summertime fun, too. Hope you are healing fast Kyle. Eh, I don't know... I want to break my wrist or something else minor. But I hope you are feeling better Kyle! My mom had back surgery and had a dream that there was a knife in her back. She said it really hurt. Now do you want to get a broken bone or surgery? And Kyle, I hope you get better. It must hurt a lot. I have not experienced a broken bone or surgery, but I Know you are, so gt better soon, Kyle. I once said that I had never broken a bone ever and three days later I had a broken wrist and knee. Don't say it-it's dangerous! Thanks for all the support for Kyle! He broke his writing hand so is trying to write with his left hand. Ooooh, that's tough. I've had to try to learn that skill before. It didn't work well for me! My arm healed so I can sort of put presure on it. Don't tell my mom because she didn't want me to put tell anyone. And Mr. La mmar can you please send my Pearley Monroe book. WHY DO YOU GUYS LIKE MUSIC QUIZZES? I don't get you guys. Where are all of our music quizzes? Why would you delete them? When are you creating the new blog? It's live-use the address above. Hi Kyle-I sent your book. I hope you got it! Hi Kyle!! What did you do over break? Join us in the new blog, The Hangout! See the link on the front page of the website. Hey um Kyle you there? You haven't been posting lately. Hi! I hope you are getting an amazing experience out of your school! Hello Kyle! Any major changes in your life? There certainly is in mine. I am going to have to wear glasses! Oh no! Hi Kyle! I know our class hasn't sent you messages lately but have a great school year! What the heck are you doing Blake,and who is Kyle? to be spicific Charlie, Kyle is a human being that left Del Paso Manor. Everybody wanted to have a blog about him, so Mr. La marr made a blog about him. Now everyone is commenting about him. Kris is right! Kyle was only at DPM for about two months, but his class missed him and wanted to write to him. This blog is in the top 10 still!